One of the hardest parts of a wedding celebration is not having your loved ones that have passed away by your side. Here are a few ways that couples can include those that they have lost, in their own special way. Use their favorite flower in the ceremony – It is a known fact, that smell and sight are two of the most powerful senses that we have. They also have the power to bring us back to a moment or time that you cherish the most. 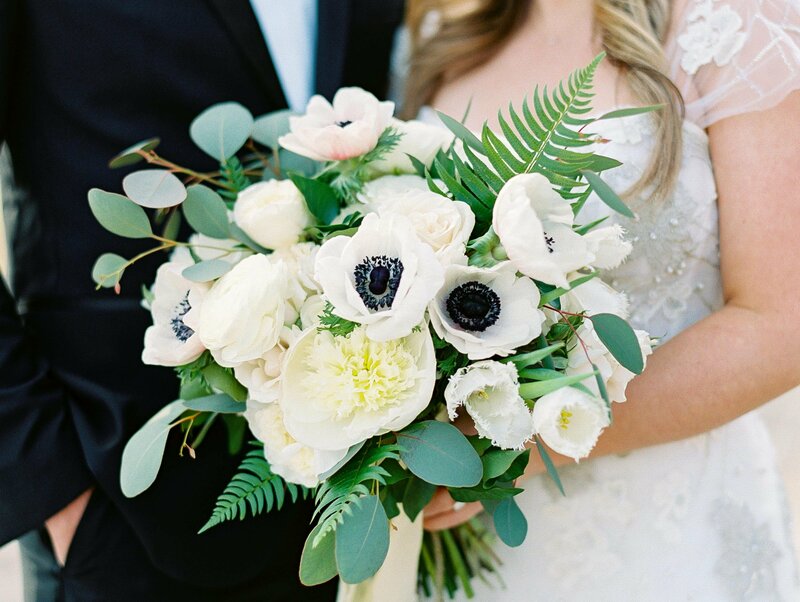 By incorporating a favorite flower in your bouquet or flower arrangements or even wearing a scent that has that flower is a great way to honor a loved one that has passed. Dance to their favorite song – There is something magical about music and even more so with a cherished song, that has the power to instantly transform you to a time or moment in your life. 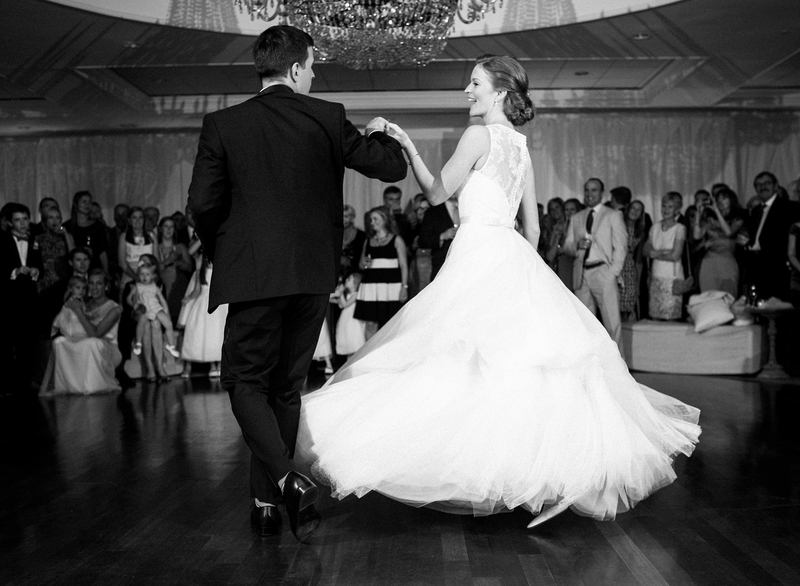 Dancing to their favorite song is a wonderful and touching way to remember a love one that can’t be with you. Even if it’s only for a few minutes, you can feel like they are dancing right there alongside you. 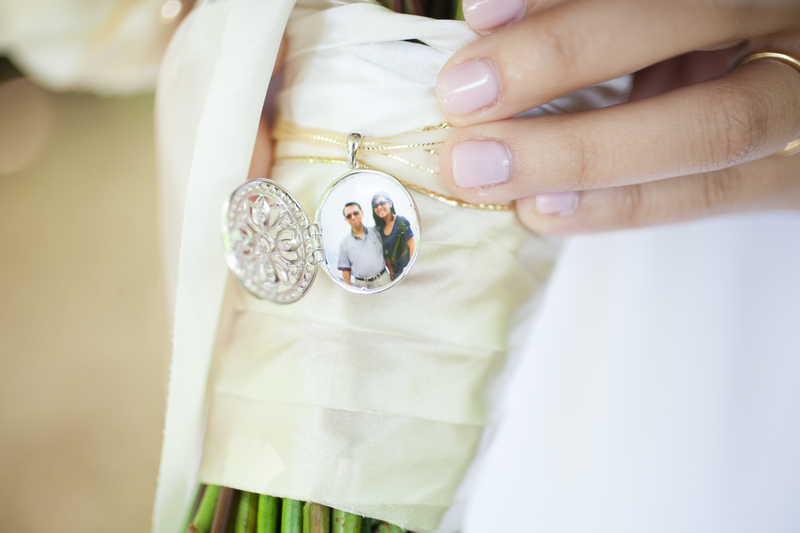 Have a small photo on your bouquet – We often see brides include a small photo on their bouquet as a way to remember someone. It is a very sweet gesture and almost feels like that person is with you, especially as you walk down the aisle. After a wonderful spring and summer filled with weddings- it’s time for a little R&R! We are incredibly lucky to have such a wonderful intern spend her summer with us. 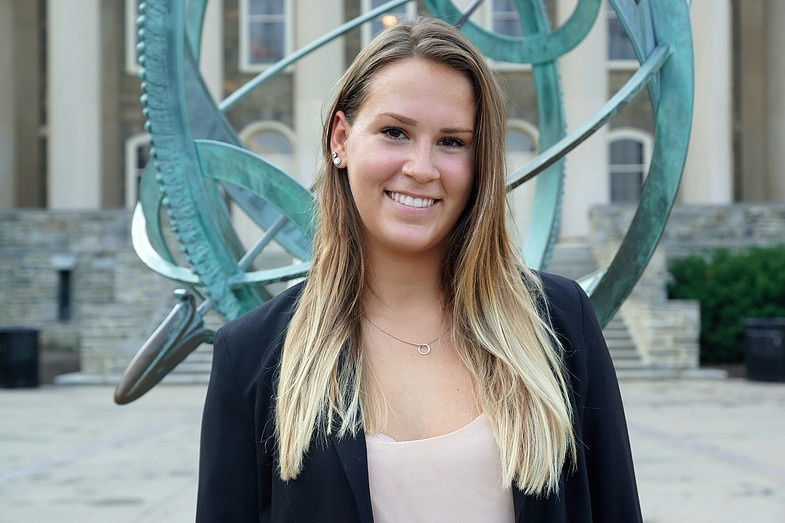 Today we are turning the spotlight on her, so you can all learn a little bit more about who she is and why she wanted to intern at A. Dominick Events. Did you always want to be in the events industry: Growing up, I always had an interest in event planning and interior designing. I love the creative aspect of event planning and the diversity of it — no event is ever identical. Therefore, not a single day is ever the same (it’s not a cookie cutter job). I started my time at Penn State in the Division of Undergraduate Studies and exploring major possibilities. I ended up in the business school (management information systems) with a minor in marketing. Although I will graduate with a business degree, I really see myself in the events industry once I graduate. As the director of fundraising in my professional business fraternity at school, I am in charge of creating and orchestrating numerous events throughout my college experience. Obviously, they don’t come close to the events that A. Dominick Events create. But I am looking forward to returning to Penn State this upcoming fall and applying the skills I have learned this summer to my fundraising events. What has been your favorite part of your internship so far: This internship, without a doubt, has been the most rewarding, interesting and exciting job I have ever had. My favorite part is how active the position is. While I spend some days in the office, I often attend meetings and networking events with the team throughout the week at various different locations. The team is also so hands on and really good at teaching me the ins and outs of the business throughout the meetings, events, and days in the office. Even if the information they’re giving me has nothing to do with the project i’m working on — or a project i’ll ever work on during my time here — they still teach me anyways. Most of all, I have been incredibly taken back by the whole process. Aimee, Cindy and Ashley are all so talented at what they do. I am learning so much from the A. Dominick Events team — not only event planning skills but also life skills. Their taste, attention to detail, knowledge, and organization skills are exceptional. Not to mention the constant flow of communication they have with each other as well as countless vendors and clients at a given time is quite impressive. What has been your favorite moment during your internship so far: I don’t think I can pinpoint just one moment — but I would say that being able to attend these events after working on them for weeks in the office is incredible. It’s remarkable seeing a portfolio of pages transform into a vibrant, beautiful event. It’s truly rewarding seeing everything come together. Especially that moment right before the guests start arriving — when all the people who have worked so hard to create the event can take in the finished product. I can’t tell you how many times I’ve received texts saying, “I want your job” after I have sent pictures of the events to my friends. Just being able to say “I love my internship” is the best thing in the world. One of the most important elements to planning a wedding is having a great timeline. This alleviates stress and allows for a more seamless wedding celebration. 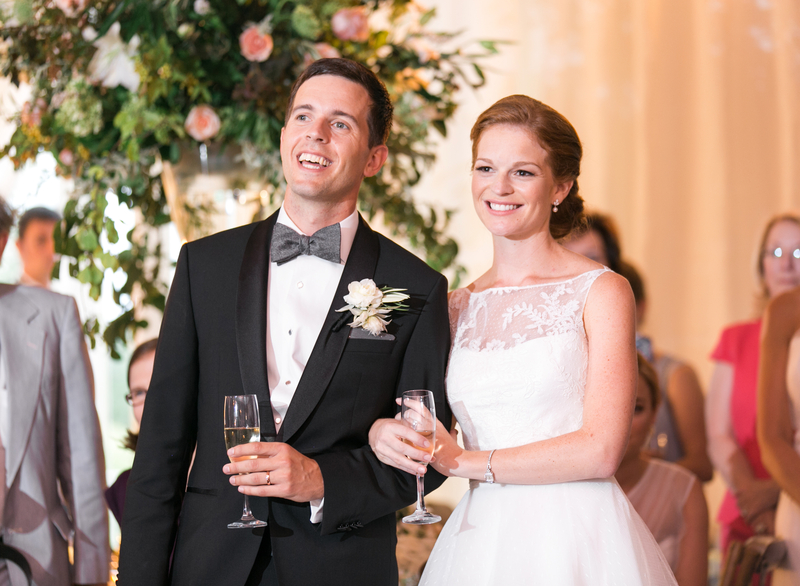 Below are some tips we hope will help you on your wedding day! Allow at least 30 minutes to get into the dress. It doesn’t seem like it will take that long, but there is always that one last trip to the restroom or a tricky zipper (or though we don’t like to admit it, squeezing into your Spanx!). The last thing you want is to rush through the dressing process, feeling and looking stressed in your photos. Distract your guests during band breaks by having something else happening. Unfortunately, most bands don’t play straight through the reception and need to take a few breaks. During these breaks, it’s the perfect time for toasts or cake cutting. The band won’t be playing during those events anyway, so no one will notice they’re not playing or miss out on any dancing! Make sure to limit number and length of toasts. Though there is nothing we love more than a heartfelt speech or sweet toast, there is a limit to how long guests will pay attention. Try to limit the number of speeches at one time. 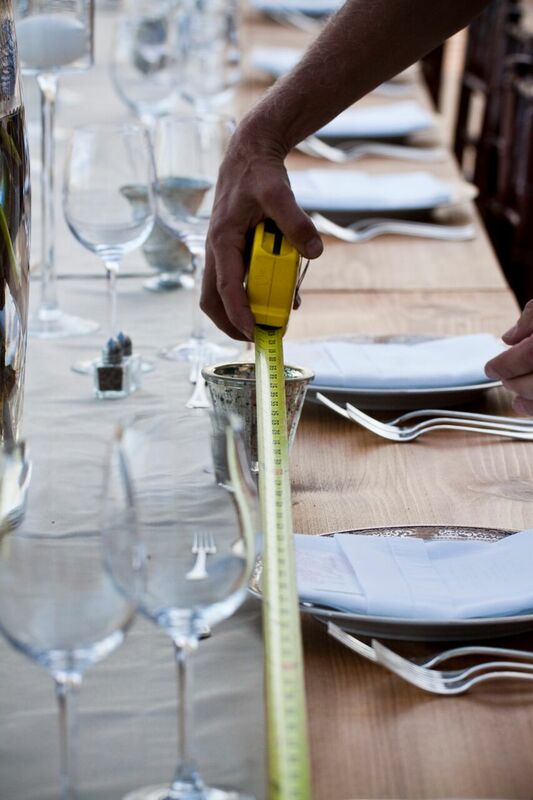 Planning for some of the toasts to happen at the rehearsal dinner can help to reduce the number at the reception. We also find that splitting up the toasts throughout the night so that no more than two people are speaking in a row helps keep guests’ attention. We recommend telling your speakers to stay within 3 minutes per toast, knowing that inevitably some will run a bit longer. Long speeches could compromise the quality of the meal, delay guests hitting the dance floor and minimize opportunities for additional photos. If you talk about the plan in advance, your friends and family will have a better understanding of why you want the toasts short and sweet: more time on the dance floor! Double the amount of time you think it will take to get to your venue. Even though we always plan for worse case scenarios, you never know what could happen on your wedding day. It’s really important to cushion your timeline and double the amount of time you think it will take you to get your ceremony and/or reception. The last thing you want is the stress of sitting in unexpected traffic, late for the ceremony! Plan to arrive early to the ceremony to get out of sight. 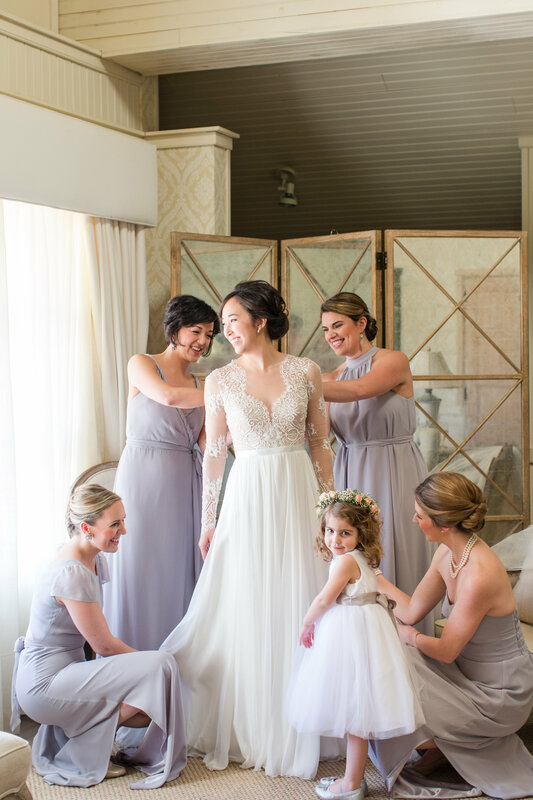 There is something magical when the doors open and the bride walks down the aisle, everyone anticipating her entrance and a glimpse of the dress. It’s also really nice to have time to yourself right before the big moment. 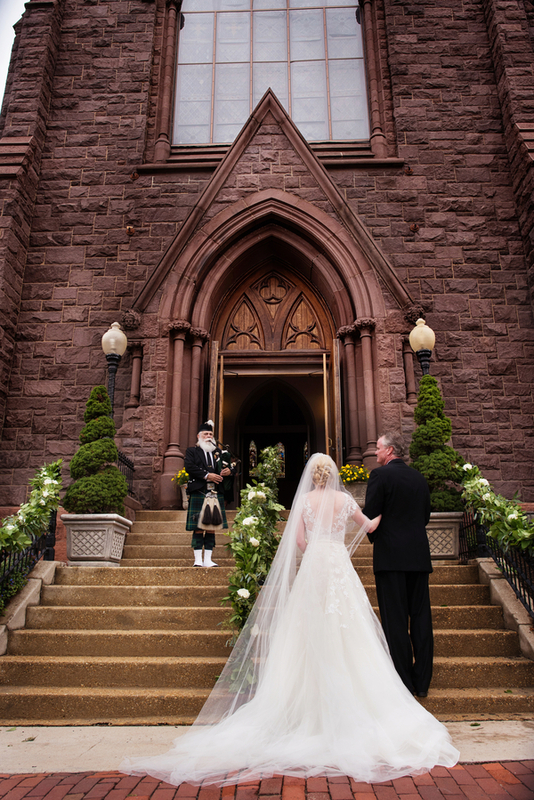 Plan to arrive 40 minutes before the ceremony, before guests start arriving, so that you can slip out of sight. Or, you can wait out of view in your transportation right up until the moment when you walk down the aisle. 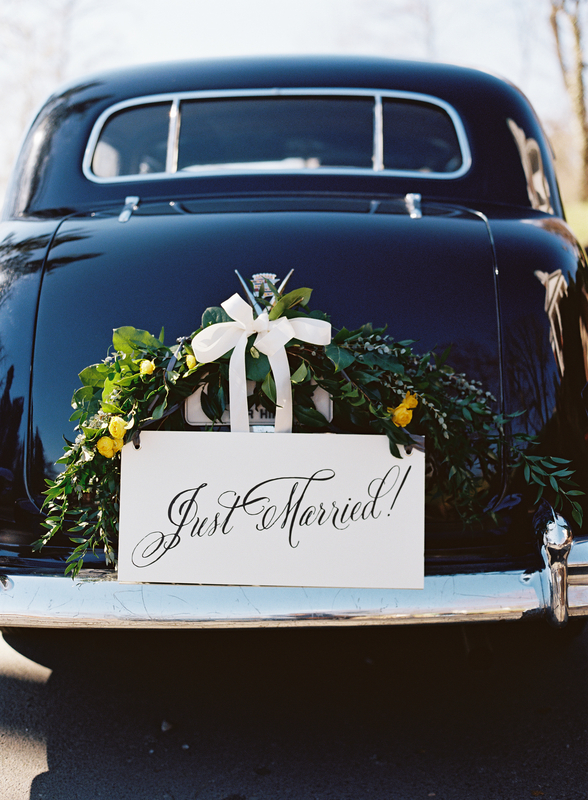 Are you obsessed with events, especially weddings? Do your plan your friends’ birthdays and love looking at Pinterest and event planning blogs? 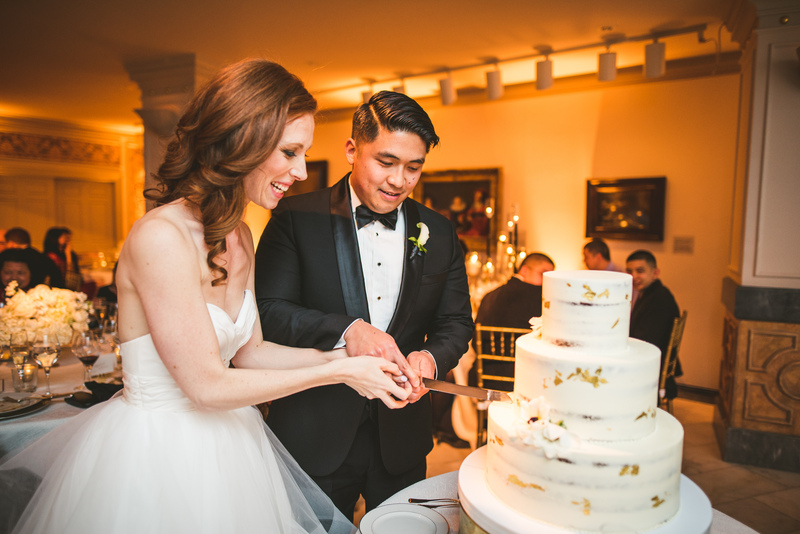 A. Dominick Events, based in Chevy Chase DC, is one of the premier event planning companies in the area and can teach you how to turn that passion into a profession. With more than 30 events per year, we are one of the busiest planning firms in the Mid-Atlantic. 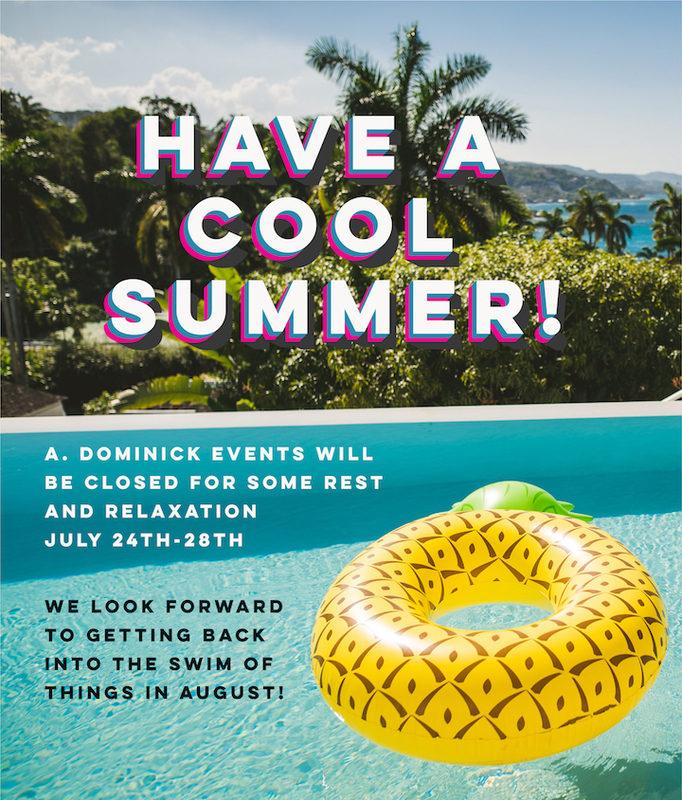 A. Dominick Events has a fast paced work environment and we seek talented interns who crave learning new skills and aren’t afraid to tackle big projects. As an intern you will get to work with our staff, while working on real projects that will teach you what event planning is really about. Our ideal candidate is someone who is friendly and professional, someone who is obsessed with event planning and is creative and thoughtful when approaching assignments. He or she should also be ready to take great notes and open to learning the intricacies of planning high-end events. To build relationship with our online community by maintaining Facebook, Twitter, Instagram, blog and other media accounts. Plenty of additional opportunities in related projects. Our firm prides itself on the quality of its internship program and many of our former interns are now working in influential positions in event planning roles in Washington DC and beyond. Our introductions and recommendations have helped our former interns to secure position at many companies including; The Ritz Carlton, Hay Adams Hotel, Elan Artists, Amaryllis Inc, our own firm and many others. We begin our internship with a full day of intensive training and provide each intern a comprehensive full training manual. Each day, interns are provided with varied tasks that are discussed in detail and overseen by their direct supervisor. At the conclusion of each day, the intern is required to recap their progress providing opportunity for supervisor feedback and learning. At the mid-point of the semester a quiz and review are given to assess each interns’ progress and to establish a dialog to ensure that the intern’s goals are being reached. At the conclusion of the semester, a final review is conducted to access the progress of the intern and to discuss the intern’s goals beyond the internship. At this time career advice, resume review and if appropriate, recommendations and introductions are made to possible future employers. Strong communication skills (both written and oral). Familiarity with social networking sites desired, but we will also train. The office internship program runs from mid-August to mid-December and you are expected to work 15 hours a week in the A. Dominick Events office. Class or work schedule preventing you from committing to 15 hours per week? A. Dominick Events offers a day of event internship to accommodate interns’ schedules. These interns work more limited office hours (approx. 8 hours per week) and assist the A. Dominick Events staff at all off-site events (typically 4 to 5 hours on evenings or weekends). The day of event internship allows you the opportunity to experience first hand what all of the planning results in and learn to manage high end events. Both internship formats are paid internship opportunities and you will be compensated at $12.50 per hour. For more information or to apply please contact Cindy Bastron (cindy@adominick.com or 202.216.9557).